Our Mini Yoga Retreat was featured in the Red Magazine! 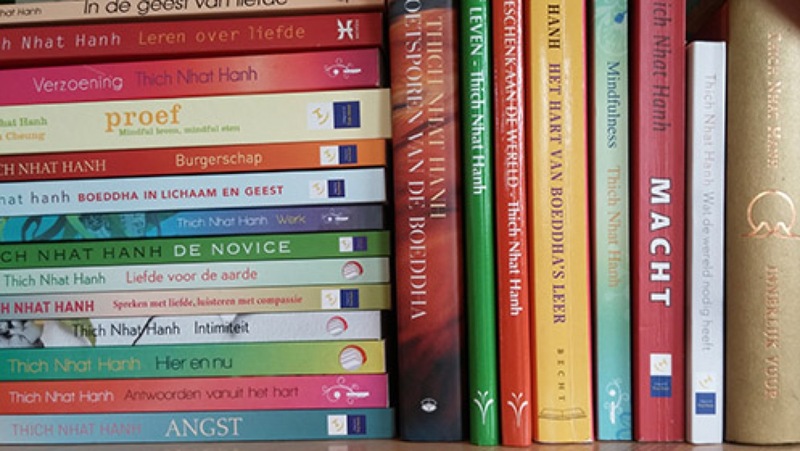 Click here (in Dutch, Adobe PDF) to read the lovely review by journalist Marleen Vos (Achterhoek location)! After 13 amazing mini-retreats since the Autumn of 2010, it is time again to join Corine for a 3 days & 3 nights Yoga & Mindfulness Meditation Retreat in the Dutch countryside. This time we go to the beautiful Holidays province of Drenthe, known for its forests, heathlands (heidevelden), shifting sands (stuifzanden), flocks of sheep (schaapskudden), prehistoric megaliths (Hunebedden), fen colonies (veenkoloniën), as well as cosy, tranquil villages. 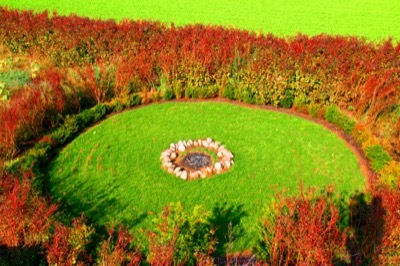 A special Autumn retreat to completely recharge yourself from Thursday 21 - Sunday 24 Nov 2019! Withdraw yourself in the quiet, cozy countryside of Drenthe, with a lovely group of like-minded people, to reflect, relax, and renew! This mini Yoga & Mindfulness Meditation Retreat will be an ultimate mini-break to re-load and re-energize yourself in just 3 days. Let Go, Cleanse, and Renew will be our theme! Besides many Yoga Sessions, a Mindfulness Meditation Workshop will be given, after which this meditation technique will be practiced during the 3 days. 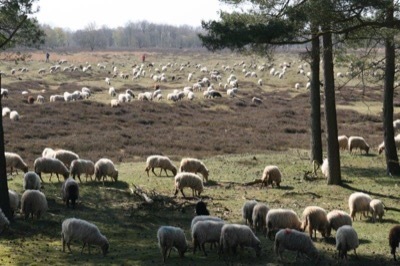 We will take a Silent Meditative Walk on the beautiful heathlands (heidevelden) of Drenthe, where under guidance we will herd a flock of sheep in silence. The retreat also includes a cleansing Fire Ceremony, and we will further pamper and detox ourselves with super-healthy meals (vegetarian and primarily organic), prepared with lots of love and attention! The Detox focus of the retreat will be excellent to bring us back in shape physically and mentally, and stay healthy and fit. The location we stay is very special too: a beautiful meditation farm (Thich Nhat Hanh tradition), with a super large 3-hectare Spiritual Garden for you to explore, with Europe's largest natural labyrinth! At the bottom of this page you can read what participants say about Corine's Mini Yoga & Mindfulness Meditation retreats. Sign up in time! The number of people for the retreat is limited, as we will host a maximum of 16 guests. Plus we have an Early Bird Bonus: the first 4 people (more in case the retreat doesn't run full) who sign up, will get a 1-person room assigned! 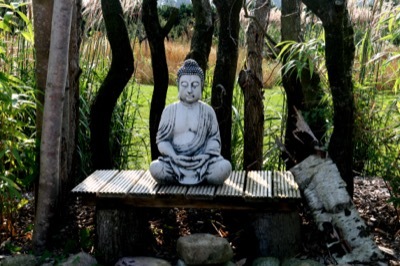 The retreat starts on Thursday 21 Nov at 17:00hr with a warm welcome and group dinner, followed by a very relaxing yoga class to guide you into the night. It ends on Sunday 24 Nov at 17:00hr after a delicious lunch and an afternoon program with a closing yoga-session. The retreat includes morning and early evening Yoga Sessions, a Mindfulness Meditation Workshop, a wonderful Silent Meditative Walk on the heathlands (heidevelden) of Drenthe where under guidance we will herd a flock of sheep in silence, and a cleansing Fire Ceremony. 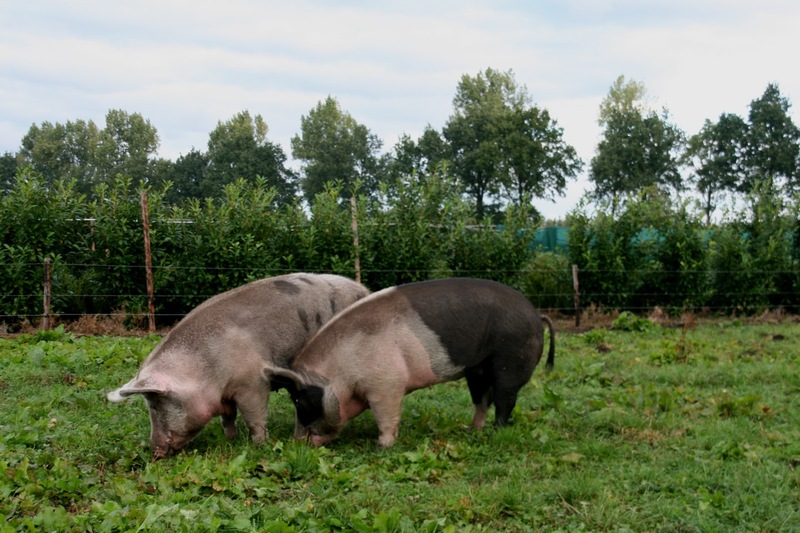 Truly wonderful, healthy vegetarian & organic meals, and free-time in the afternoon to do what you want: take a rest, go for a walk and explore the 3-hectare Spiritual Garden, read a book in the farm's spiritual library, or relax with your yogi friends! We will have 2 Yoga Sessions per day. In the morning we will have an active, invigorating yoga session of 2.5 hours. 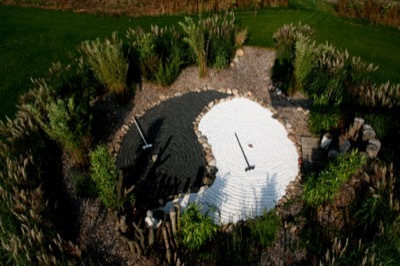 In the early evening we will have a more mellow, slow down & relax, restorative session of 1.5 hours. The Yoga Sessions will be Vinyasa style and holistic; we will include Physical Postures (Asanas) in combination with Breathing Exercises (Pranayama), Meditation (a Mindfulness Workshop is included in this retreat! ), and also Yoga Philosophy and chanting of Mantras. Each day of the mini retreat will have a special theme. On day 1 we will work on letting go, leaving our pasts behind, being in acceptance and full surrendering to What Is. On day 2 we will rinse, squeeze, and detox our bodies (a good cleanse to stay healthy & fit! ), and on day 3 we will be ready to open our hearts to the future, and renew! Let Go, Cleanse, and Renew! We will accommodate ALL LEVELS yoga practitioners. For beginning and less advanced students we will demonstrate modified postures, and will have blocks and belts available to support the postures. 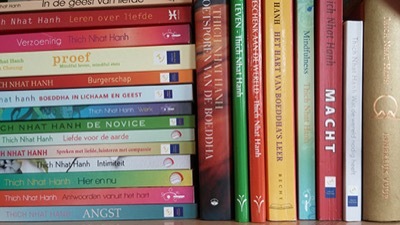 All sessions and workshops will be taught bi-lingual (English/Dutch). Free time to do what you want: take a rest, go for a walk, read a book, or relax with your yogi friends! The mini retreat includes a Mindfulness (Vipassana) Meditation Workshop on day 1, setting up a foundation for your meditation practice during the rest of the retreat (and back home!). 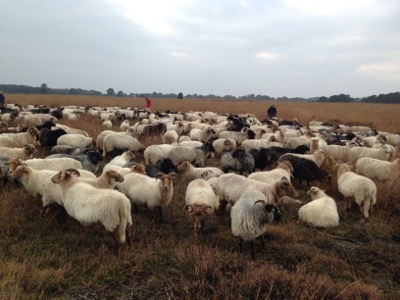 In the afternoon of day 2 we will take a silent meditative walk with the group on one of the beautiful, tranquil heathlands (heidevelden) of Drenthe, the Balloërveld, where under guidance we will herd a flock of sheep in silence. So very special! 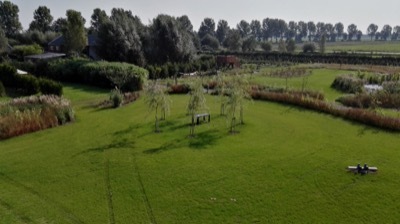 Spititual Garden "Hof van Karuna"
The meditation farm where we stay has a 3-hectare themed garden you enter in silence, called the "Hof van Karuna" (compassion), with 30 different themes from various spiritual traditions. A.o. 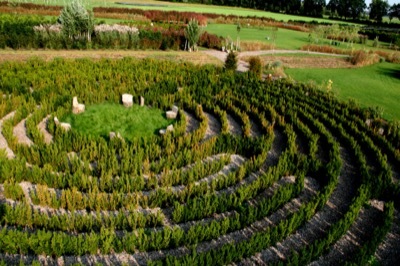 the 4 elements, a zen garden where you can rake pebbles (zenharktuin), a lemniscate garden, yin yang gardens, two labyrinths including the Chartre labyrinth (32 metres diameter, 700 metres long, the largest natural labyrinth of Europe! ), the Buddha Hill, the Path of Joy etc.. 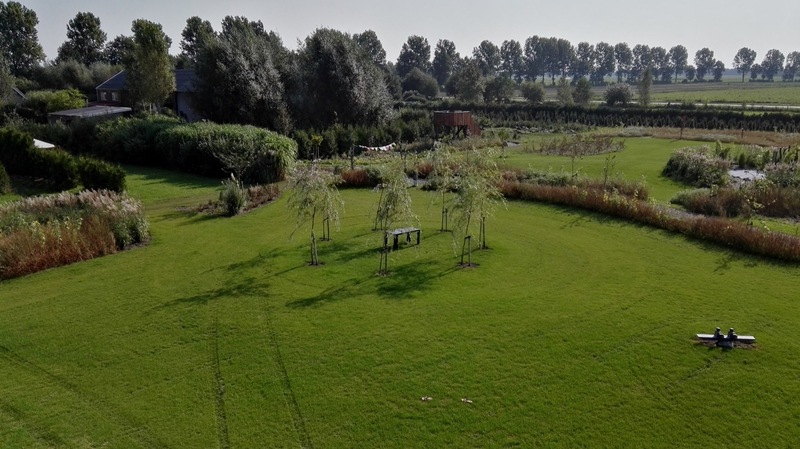 This garden is maybe the most spiritual garden in the Netherlands, for you to enjoy and explore during the retreat, and a beautiful way to further reflect and relax! A fire ceremony will take place at the fire place in the Spiritual Garden to let go of the burden(s) we do no longer wish to take with us in our lives, to cleanse and renew. We will stay on a very nice, warm and friendly meditation farm (Thich Nhat Hanh tradition), with a super large 3-hectare Spiritual Garden (see above) for you to explore. 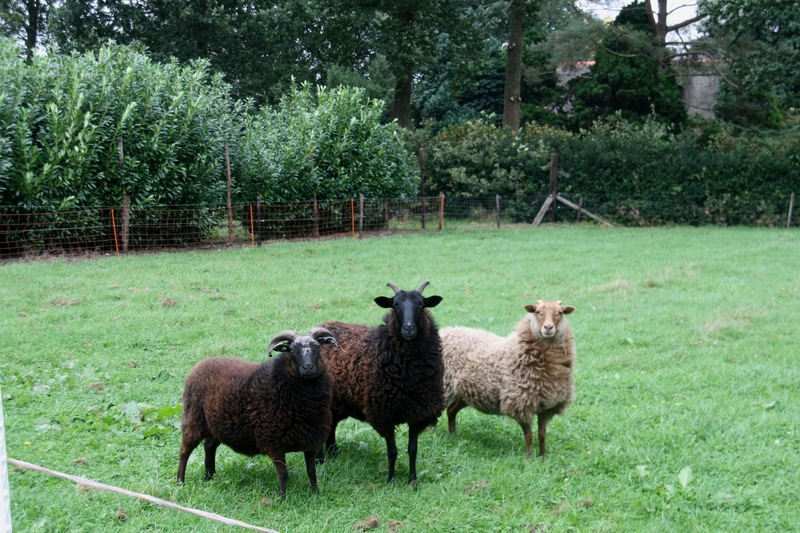 It is situated in the beautiful countryside of Drenthe, with endless views over its fields and fen colonies (veenkoloniën). 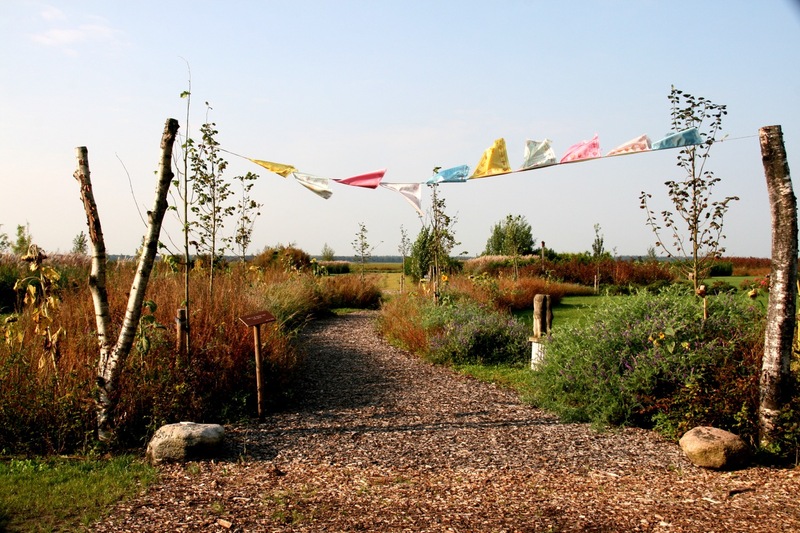 The farmhouse retreat centre is characterized by its peace and quietness, loving attention, simplicity, beautiful nature surroundings, and tranquil setting. 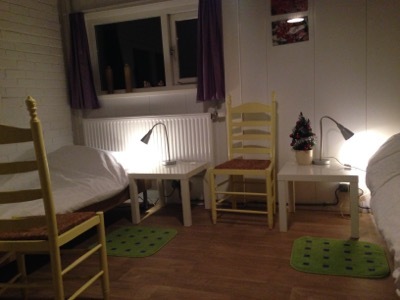 It has rooms for 1 person and 2 persons, and bathrooms are shared. 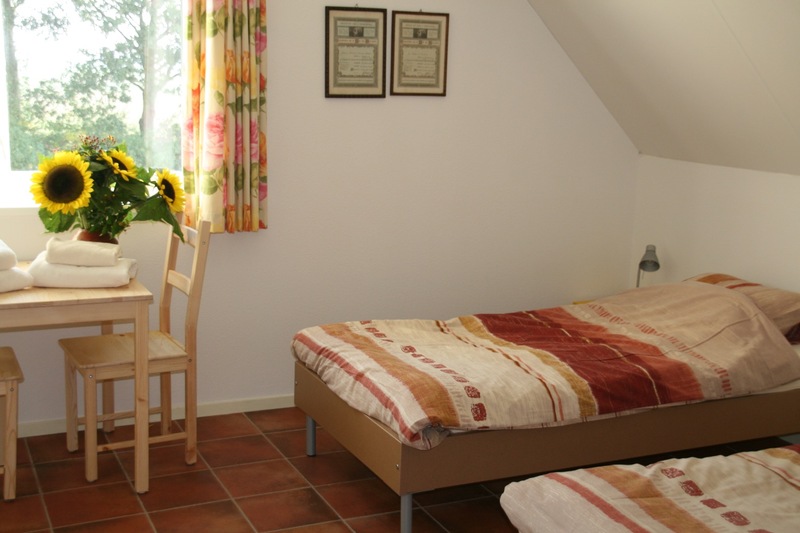 The farmhouse retreat centre can host a maximum of 16-22 people. The farm has been rated with a 9.5 score for their accommodation, food, and care. 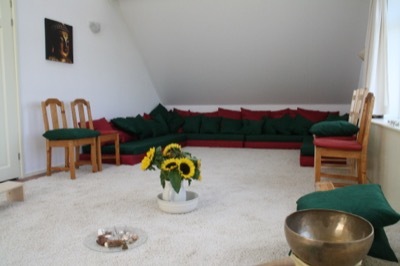 Special features of the meditation farm are the Spiritual Garden (see above), and a very nice spiritual library with a large collection of super interesting books on all kinds of topics from various spiritual traditions. 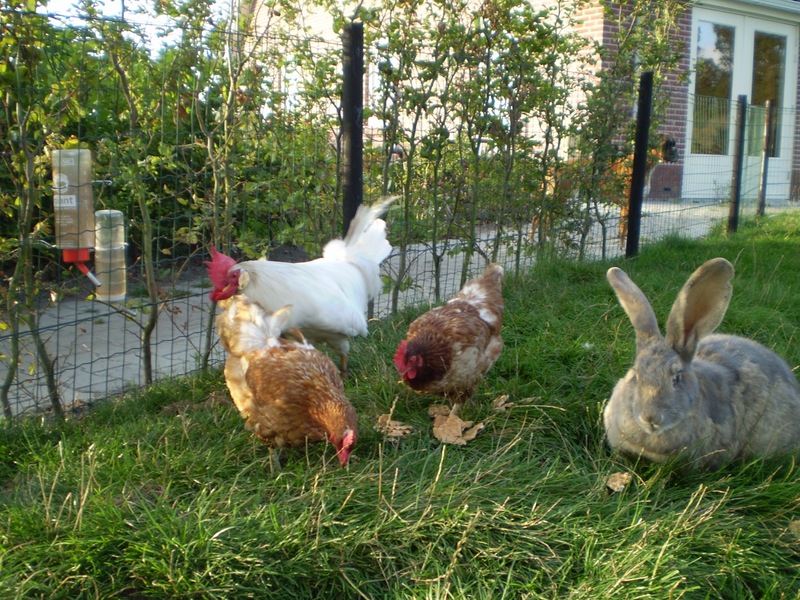 The farm also still has some animals. Animals help us to be in the Here and Now, and they allow us just to BE. 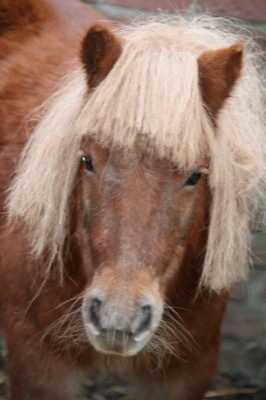 They bring us joy and warmth, and show us how to be happy in this moment. 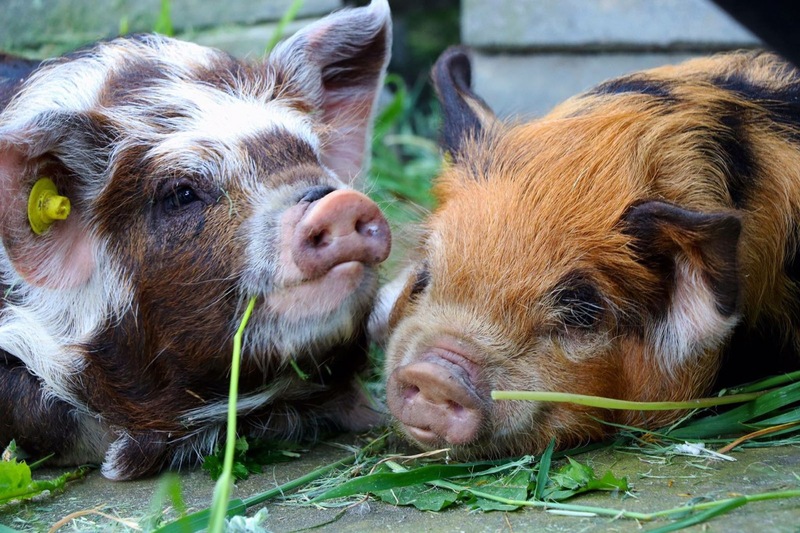 There are pigs who love to be cuddled, a pony, a dog, chickens, rabbits, and of course sheep, to be stroked and brushed by you! And last but not least our super warm and loving hosts Wim & Ida, the owners of the retreat centre and both a farmer's background, who love to share all the beautiful aspects of the farm life with you as well as their love for meditation according to the tradition by the Vietnamese Zen Buddhist Thich Nhat Hanh. You will land in a warm bath! As on all YogaYatra retreats we will pay special attention to the food! Always delicious and very healthy, supporting the healthy detox focus of the yoga retreat. All meals will be vegetarian and largely organic. 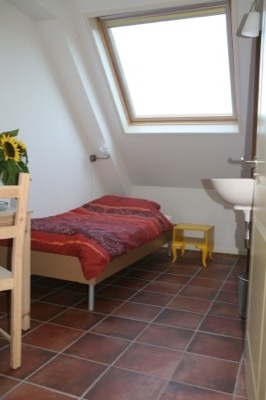 There are 4 rooms for 1 person and 6 rooms for 2 persons. We have an Early Bird Bonus: the first 4 people (more in case the retreat doesn't run full) who sign up, will get a 1-person room assigned! The costs for the retreat are € 445 all inclusive, except for your transport to the retreat centre, which you need to arrange yourself. yoga mats – please bring your own yoga mat! Then please fill in and SIGN our Registration Form (Nov 2018) (Adobe PDF), and post it to the address as given on the form, or scan the signed form and email it to the address on the form. Transfer the total retreat costs - € 445 - by bank to YogaYatra - bank details will be supplied to you after you send in the booking form. To hold a spot for you in the retreat, this payment of € 445 is due within 8 days of sending registration into us. Upon receipt of the € 445 and your Registration Form, your reservation will be confirmed again. For our cancellation policy we refer to the Registration Form. Please note: we advise you to be on time with your subscription and payment! The number of people for the retreat is limited, as we will host a maximum of 16 guests. We also offer a 1-person room on a first come first served basis (and we have 4 single rooms, more if the retreat doesn't run full). Click here for Google Maps location & route description. You take the train to station Emmen. Note that at station Zwolle you need to check out with NS, and check in with Arriva. As the retreat starts at 17:00hr, we advise you to take the train that leaves at 15:21hr from Zwolle and arrives at station Emmen at 16:15hr. De Maanhoeve staff will pick people up from the Emmen station at 16:15hr if everybody arrives at this similar time. You have to let us know 1 week upfront if you want to be picked up at this time. If people cannot make that time you can call the Maanhoeve at +31 (0)6 51537145 and they will arrange a regiotaxi for you. You can also arrange and call the regiotaxi yourself: taxi Dorenbos, tel. +31 (0)591 303535. 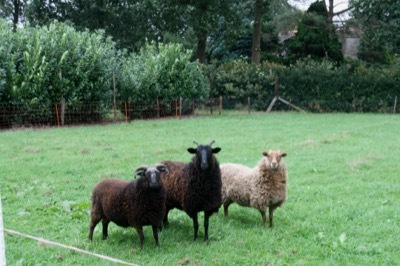 The regiotaxi will take about 20 mins from the station to the Maanhoeve, and costs € 7.50 p.p.. Please contact us us should you have any questions or need further information! "I really loved the weekend! It was as I had hoped for and had been looking forward to! Both inside (detox!) and in my head I feel great! Love to feel my body again! 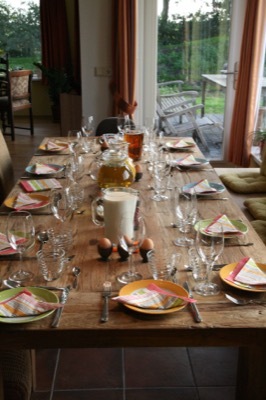 Please keep me posted about your new mini retreats and I would love to join again!" "Thank you for a great, inspiring weekend! Finally I was able to join one of your retreats! Thank you for your classes, sharing all the yoga, your presence, and a flawless organization of the retreat. I have learned a lot about myself. Also the meals were very good, and it was really great that the cook considered my food allergies! Since I already know your lessons and workshops, it was also nice and familiar, yet still challenging and very special!" "That was again a very nice get together! A cozy group of people. Wonderful yoga- and meditation sessions and super healthy food. To be honest I couldn’t stop eating! The colors of the surroundings have done a lot to me. Earth tones, and feeling the earth under my feet. That is what I take with me going back home. Super thanks!" "This retreat has been another wonderful moment in the transformation process I have been in, ever since I stepped into your yoga class. Instead of holding on to memories (the past) and fantasies (the future), and feeding my constant feeling of unhappiness, I have become very peaceful and accepting. It opened my heart and made me realize that life is not about achieving goals, it’s about the path you walk and enjoying the now. At the beginning of the retreat, I said I was here to celebrate life, but especially the last day, my heart has opened again (I wonder if it will ever reach its maximum!). I do not only want to celebrate life, but also the entire world for being a wonderful place full of love, miracles, and teachers. Thanks again and again for being our guide into a new way of life!" 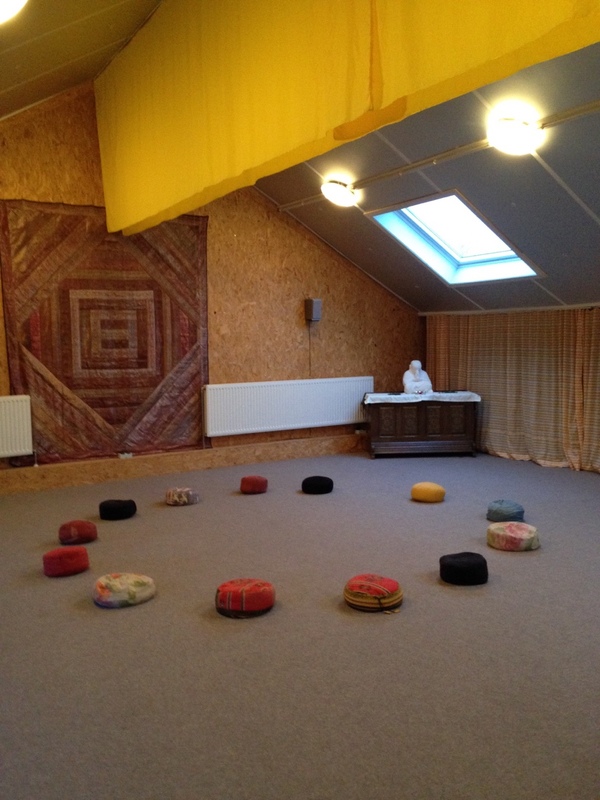 "Thank you for a very nice weekend, meeting new people, new insights, and a re-discovering of yoga and meditation!" "Deep gratitude for your spiritual work and for your sea of love!!! Love you!" "Thank you again for making a great set up, yoga, studio, music, people. Every time I get confronted with myself but I always feel safe. Thank you for this!" 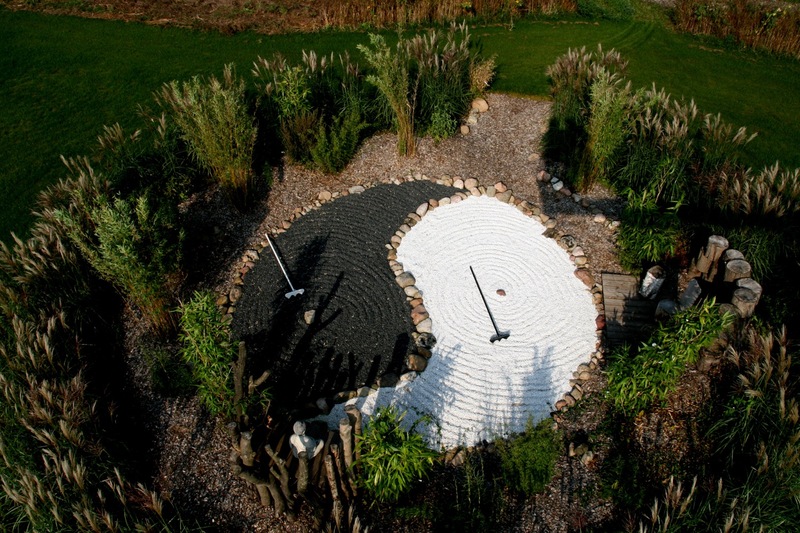 "I have been looking forward to this mini-retreat for a long time! And quite rightly: it was wonderful and intense! Many thanks!" "I did not know what to expect... Only that there would be no game on the menu and the wine glasses would remain empty! But thanks to your wonderful lessons in meditation, I barely missed them both! Positive thoughts prevailed!" "Thank you for the wonderful retreat! 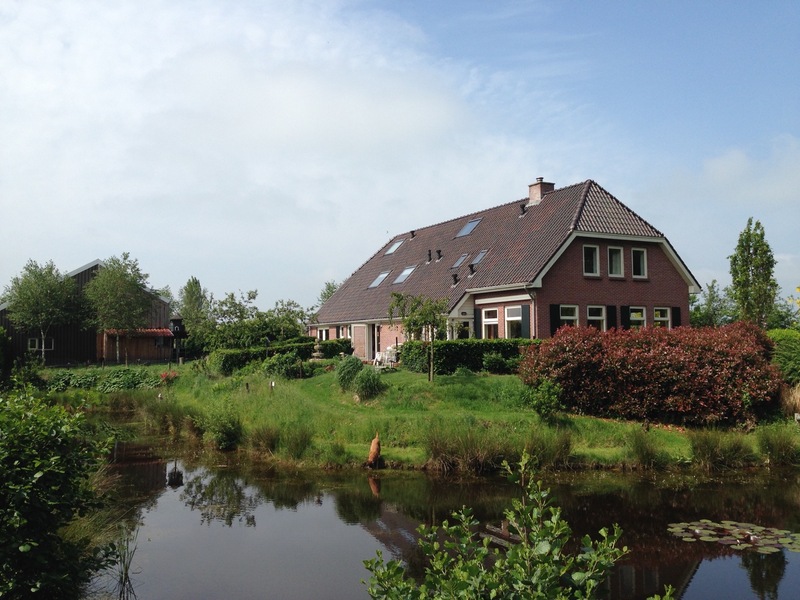 Like Ursul de Geer would say:”Het was weer fantastisch!” During this retreat we learned how nice it is to live in a mindful way and to enjoy the moment! Thank you for that!" 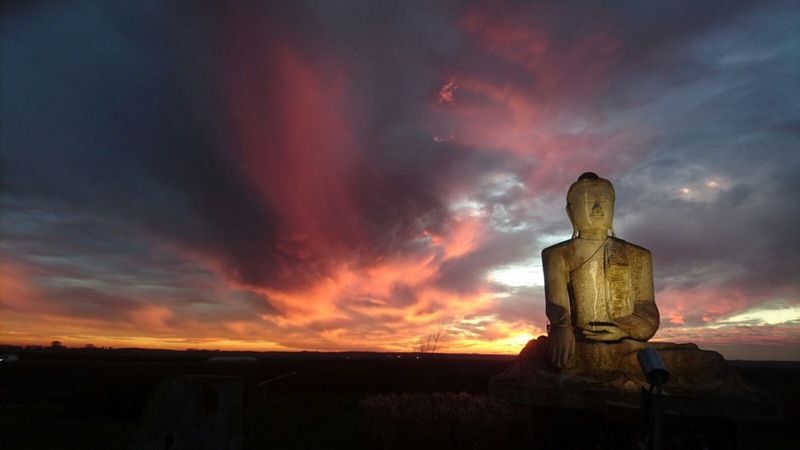 "I had such a wonderful time on the retreat, sharing all the yoga, wisdom, and fellowship that came from our satsangs! Wonderful job, thank you so much for everything!" "What a fantastic experience! The energy of the group, the relaxedness, the inspiration, being able to be completely yourself. I have never experienced this before. Really great! Yesterday I was still lifted up. Thank you so much! Through this retreat I have really learned to accept myself and my environment. The mindfulness is a great help in developing empathy and compassion towards others, and hence all work-related negative energy, conflicts, ego’s etc. therefore diminish. And this is just the beginning! Truly wonderful.